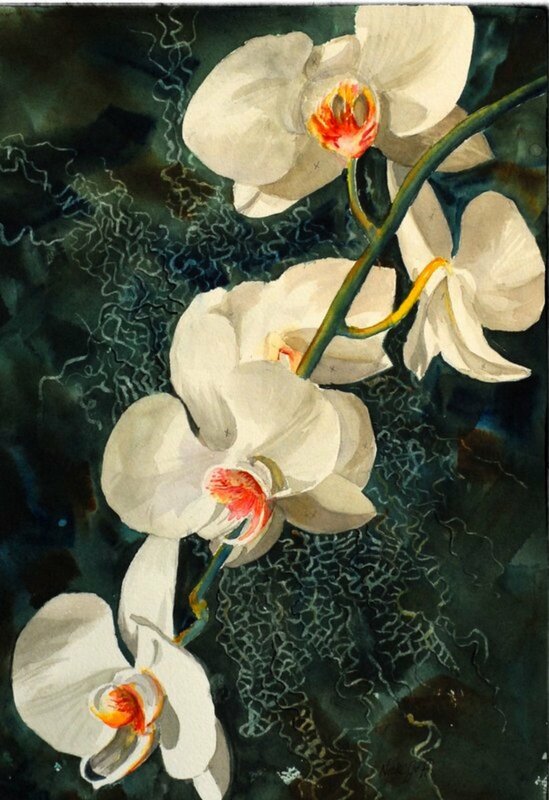 Nicolette Goff is a watercolourist, writer, and dedicated gardener. 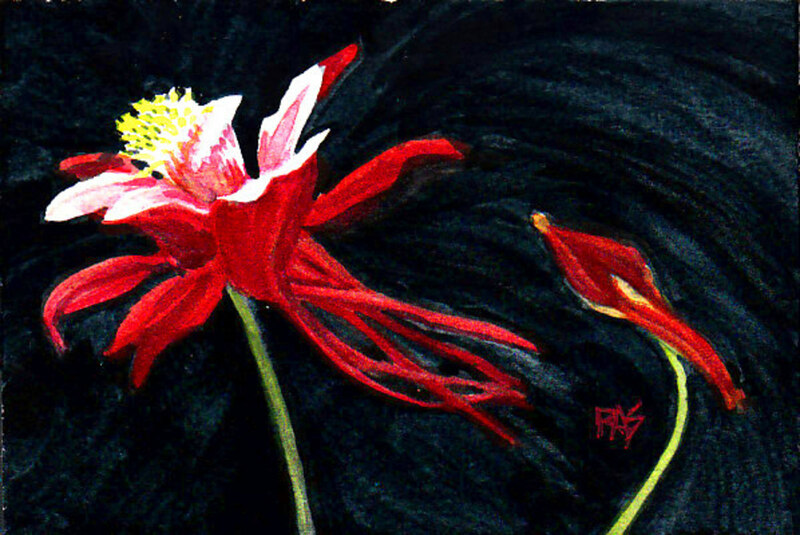 Her books, articles and paintings reveal her love of nature. 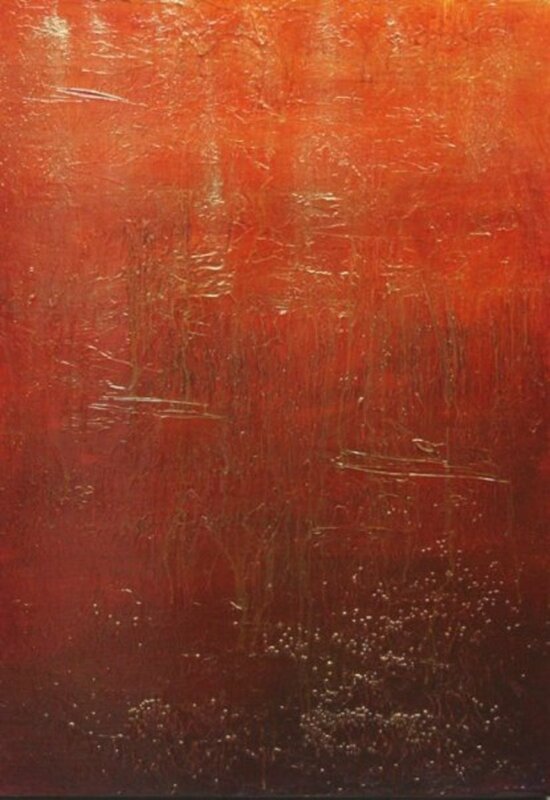 Creating a textured appearance is easily accomplished with the more 'solid' art mediums of oils and acrylics. 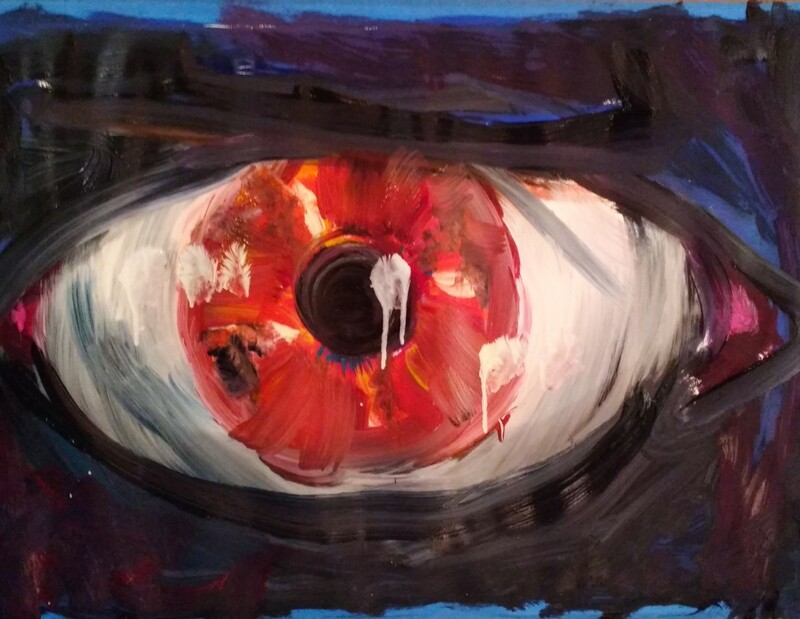 Surface texture adds extra dimensions of shadows and lights to a painting. 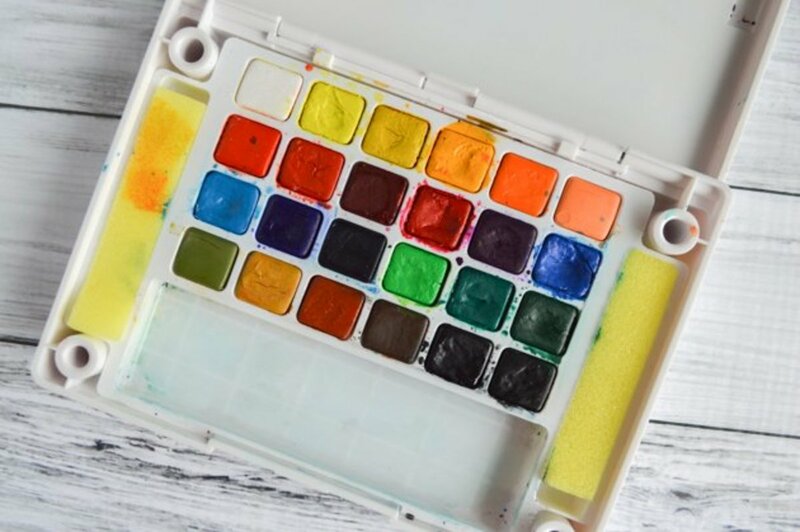 We generally think of texture as something you can feel and see, but there are several ways to visually suggest it on the flat surface of watercolours. Adding visual texture makes paintings come alive. They are more convincing and much more interesting to the viewer. 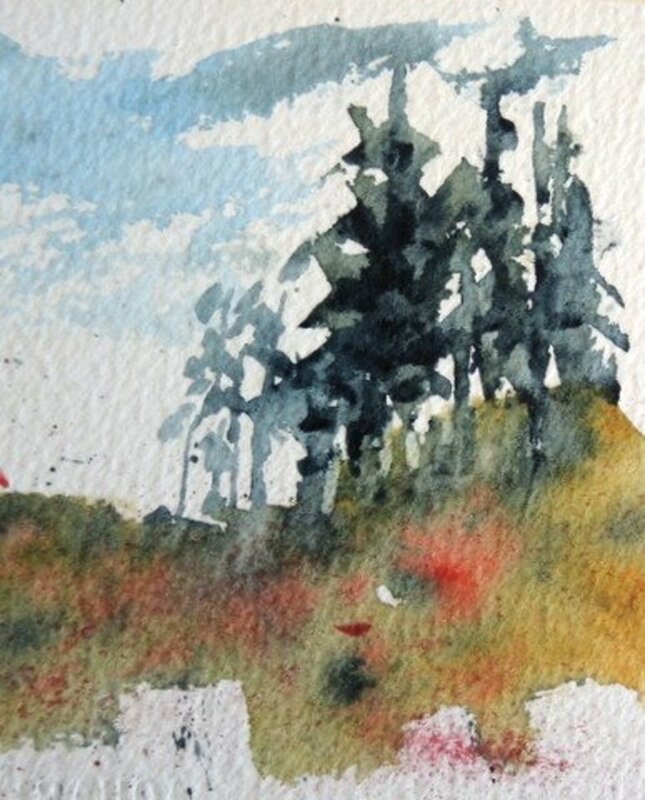 This selection of techniques watercolourists use to add visual interest will get you started. But don't stop with just one of these ideas. Try combining several of the methods. Use your imagination and experiment. Experiment by sprinkling table salt into washes of different wetness. The salt will dissolve more in a shiny wet wash and push the color so that it spreads. It will reveal a smaller texture when sprinkled into a damp wash that is just losing its shine. The color will barely move and give a fine texture in a wash that’s slightly damp. Table salt, sea salt or even rock salt can be used to create anything from tiny specks of light to larger textured areas. 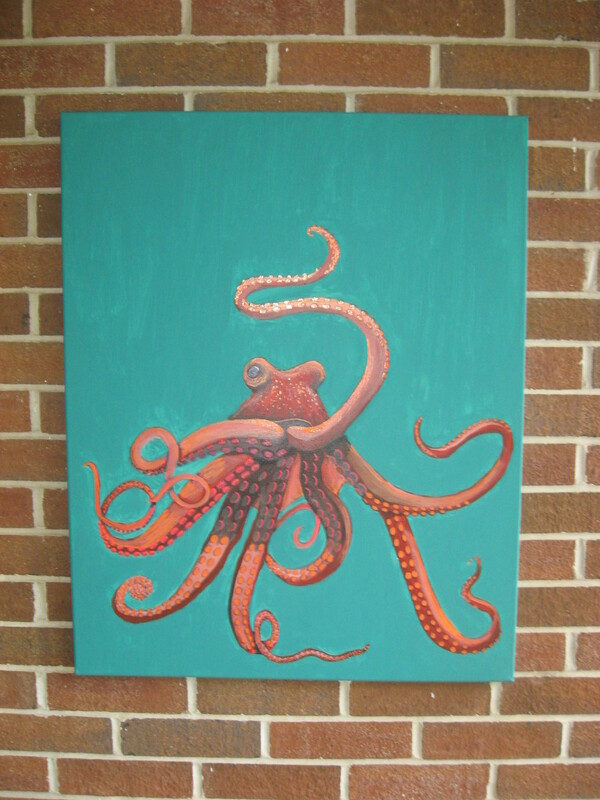 Once the painting is completely dry, use your clean hand or a small cellulose sponge to lightly whisk away the salt. Crumple or stretch plastic wrap over wet paint for different effects. Stretching plastic wrap in one direction and laying in over a wet wash will give horizontal lines in the direction of stretch. The paint accumulates where the wrap does not touch the surface. The dry surface can resemble landforms, water or ice. Crumpled plastic wrap laid over a wet wash gives a varied over-all texture. Leave the plastic in place until the underlying paint is dry. You can achieve a mottled texture with a sea or natural sponge. A synthetic sponge tends to make a more regular pattern while the varied texture of a piece of sea sponge can add interesting effects. Layer colour with the sponge, beginning with the lightest hues, and layering darker tones to create depth in foliage or textured surfaces to rock. 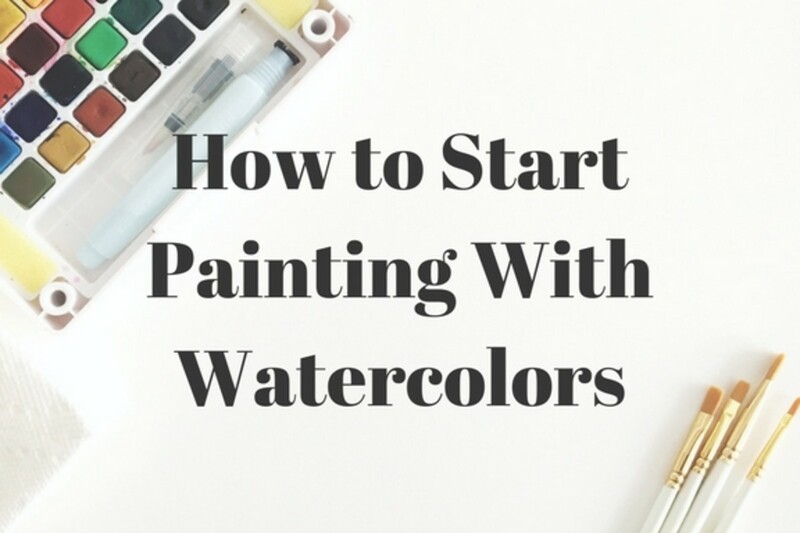 Spattering is done by flicking a stiff brush, like a toothbrush, with your finger to spread droplets of paint. On a wet wash, the droplets will disperse to form areas of different colour. On a wash that is almost dry, the droplets will stay put, and form a speckled area that adds liveliness. Protect the surrounding area by masking it off. Practice this technique with different brushes, and learn to control both the direction of the spatter and the size of the droplets. 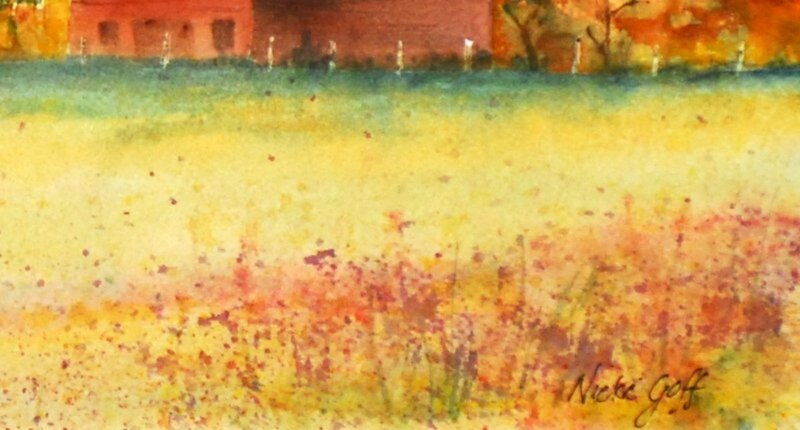 This technique is valuable for suggesting texture in a sandy beach area, a field of wildflowers or simply adding interest to an area of flat colour. Called sgraffito, this technique involves scratching through a layer of paint. Depending on the tool you use, you can create thin lines or broader areas where the paint is removed. Scratch thin lines in a wet wash and the paint will accumulate in the depressions you create, forming a darker line against the lighter background. If you wait until the shine has disappeared and the paint is just damp before scraping, then the paint will not flow back and you’ll have a lighter area. Try a variety of tools - blades, brush handles, a credit card, or even your fingernail. Each will give a different type of line. Negative painting is the technique of painting around a subject, rather than painting the object. 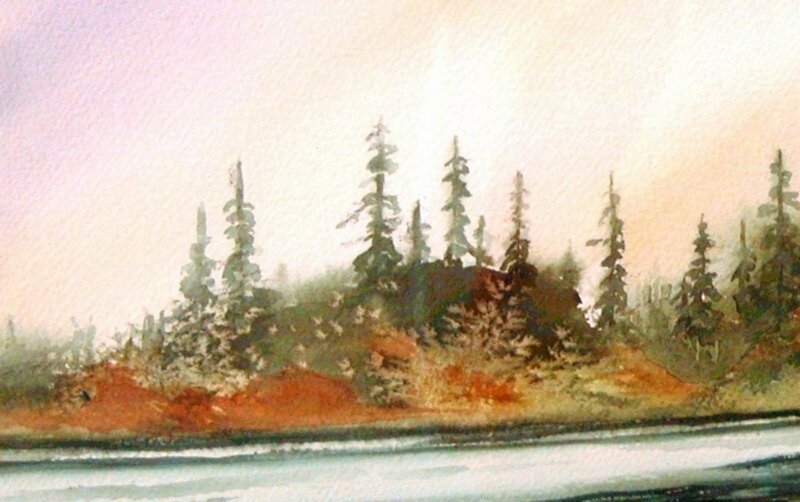 Usually light washes are applied, and darker colours added around the subject to bring it into the foreground. It's useful to add shaded areas, giving depth to the painting. 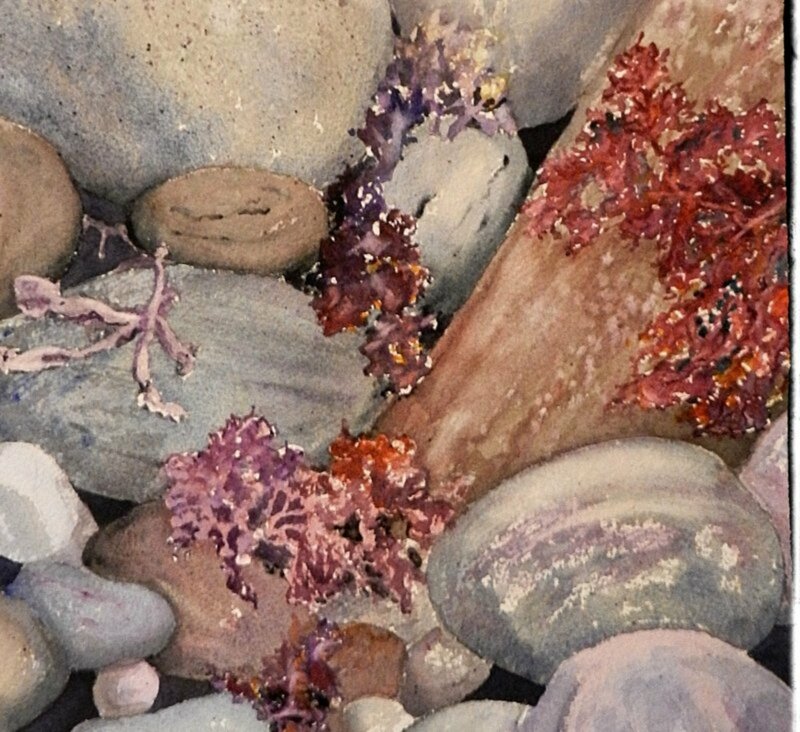 In the painting below, by using negative painting, the seaweed has texture and depth. 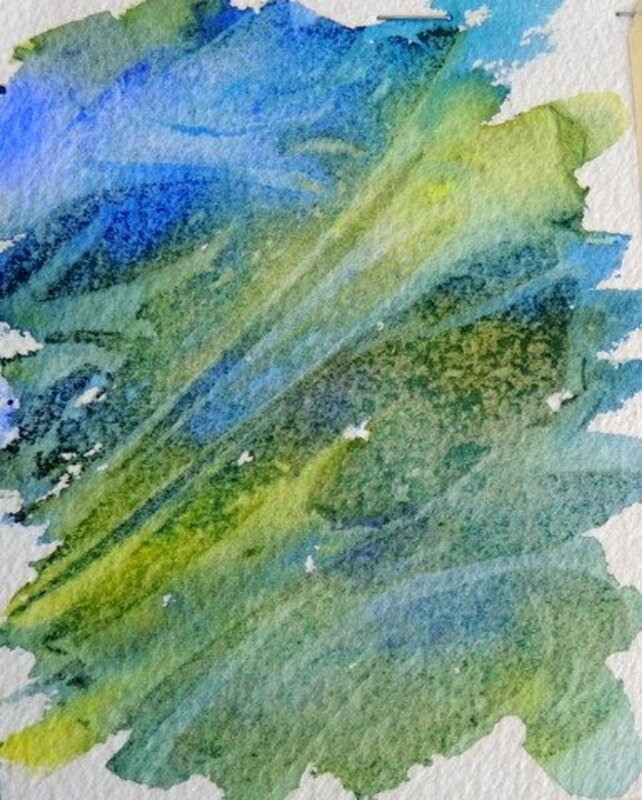 A simple way to add texture to a watercolour piece is by adding paper layers. Prep the areas that you would like to add texture to by applying gesso or thinned acrylic matte medium onto your paper. Gesso has a thick chalky consistency while acrylic matte medium dries clear and is much thinner. 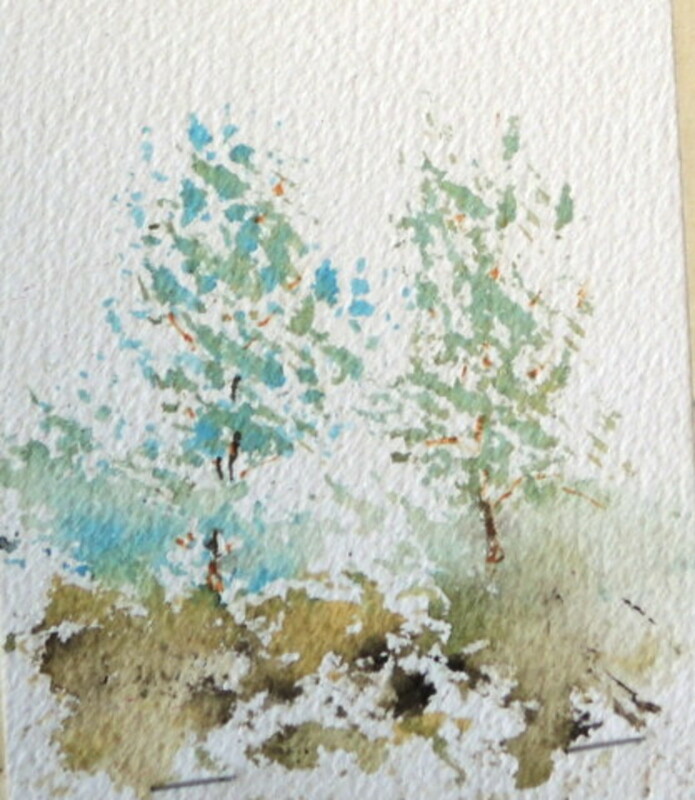 While still wet, attach small pieces of the tissue or other paper, crumpling to create texture. Gesso can also add dimension depending on how you apply it to specific areas. Brush some gesso or medium on top of each tissue paper scrap, and let the whole thing dry once you have achieved the effect you want. 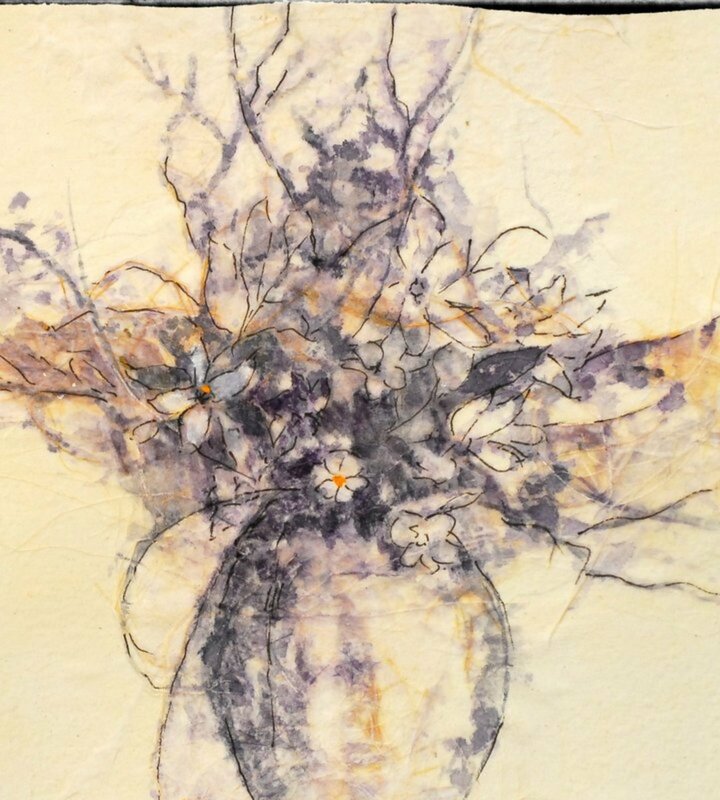 Add your color as usual on top of the tissue paper textured areas and watch your landscape come to life. 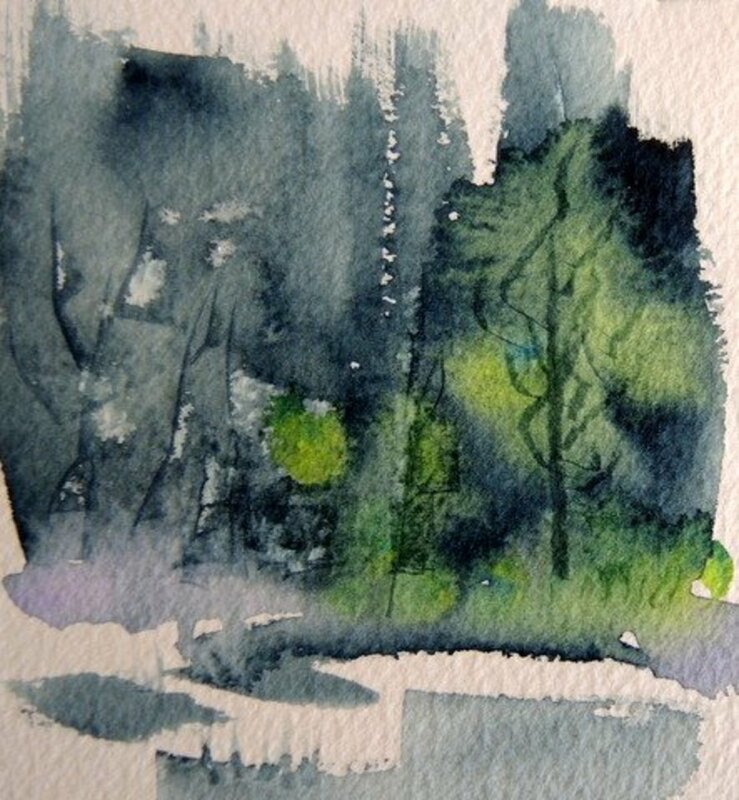 Add dimension to a mountainous range or make a forest of trees pop off the page with this simple technique. Experiment with different papers - tissue is just the beginning. Layers of different Japanese papers shaped this bouquet. Use crumpled paper towel or tissues to lift paint from a wash, leaving an irregular lighter patch and regaining light areas. This technique is useful for clouds. Twist tissue tightly and press it into a wash to form lighter lines that can bend and squiggle. Use a damp brush to lift paint from the hard edges of a shape, giving it definition and dimension. Dampen a line using a rigger brush, lightly sponge it, and use a soft eraser - the paint will lift away. 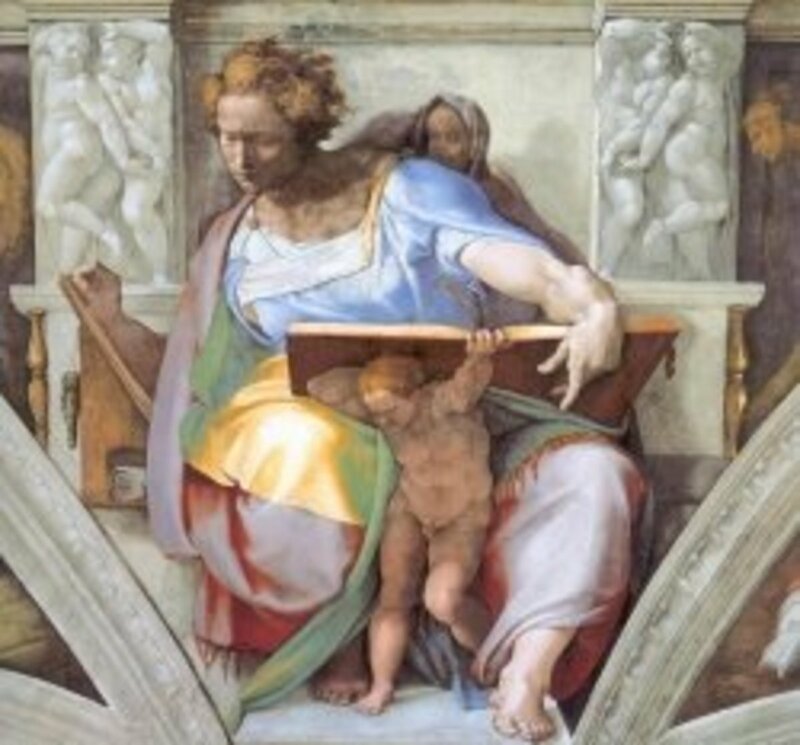 The painting below uses this lifting technique. 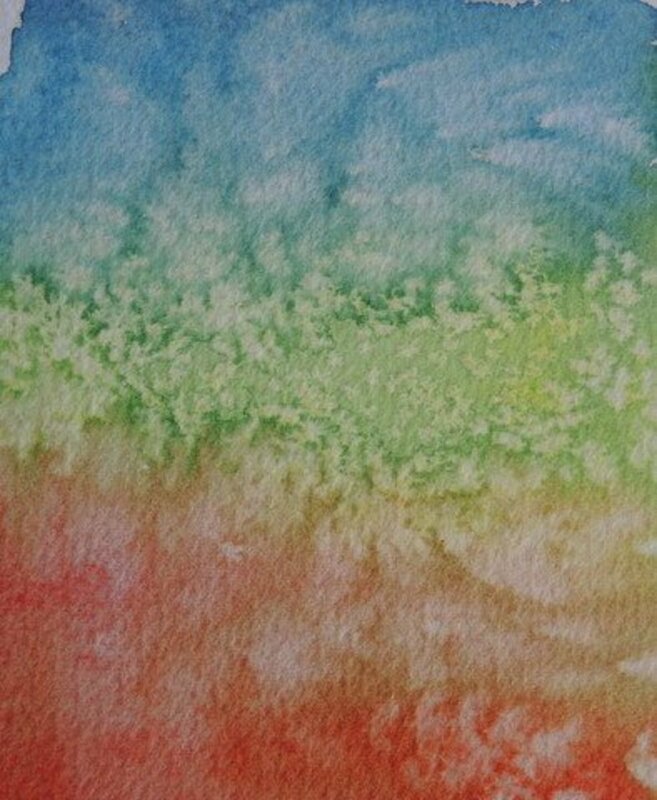 Practice using these techniques to give all your watercolours more depth and more visual interest. Experiment, and above all, have fun with them. Okay...you've done it. ;) All I want to do now is go try these techniques. You had me with the salt, but the paper layering is quite tempting.